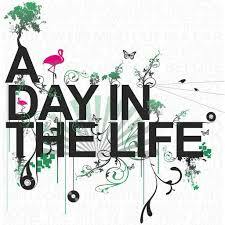 For my Narrative Unit [with Mason City High School sophomores], I had them create a ‘Day in the Life’ Comic, documenting, in first-person, and using the elements of narrative, a day in their personal lives. For that complete lesson, click here. Following that lesson, I placed students in groups and had them share their completed comics with one another. Then we discussed, as a large group, the elements of narrative incorporated into their comics and did a refresher on figurative language. Their next assignment was to take their comics and create a short, first-person story of the day that they chose incorporating both the elements of narrative and figurative language. I used my personal comic as a model and the students and I created the start of a story together. The short narrative stories were due the following week. Here is the complete lesson plan: Introduction to Narrative Writing – Narrative Comic Lesson Plan. For notes on the lesson, click here.